Healthcare jobs are on the rise. How will you attract, engage and hire top talent? The next healthcare professional you hire will have a huge impact on patient satisfaction and your organization’s bottom line. Luckily, you can attract and engage top talent with a second-to-none candidate experience. 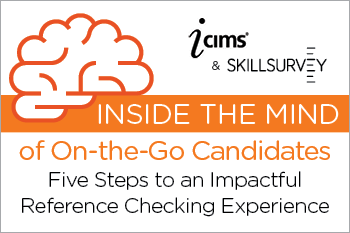 Decide which of those candidates best aligns to your organization’s mission through effective reference checking and mobile recruitment tactics.